From the beginning, we’ve been convinced of the importance of sound in setting the mood and supporting the emotion and action in a story. Studies have shown audiences will often put up with imperfect images, but are unforgiving when it comes to the sound quality. 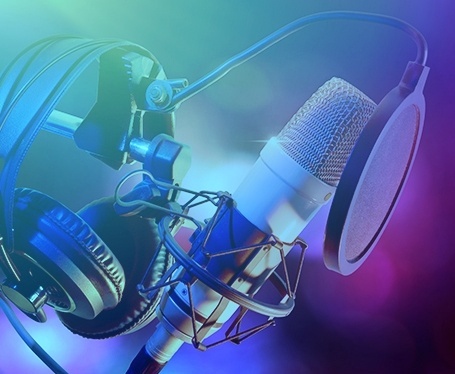 From ADR services for Hollywood features and network TV to local radio spots, audio books, corporate podcasts, VOs and sound design, we provide a wide range of audio services. And, if you can’t come to us, we’re happy to come to you to record at your facility or in the field. P&P Studios Inc. offers audio production services for Sales Training Videos, Customer Service Training Videos, Leadership Training Videos, Explainer Videos, Whiteboard Videos, Animated Videos. We serve clients across the Greater Metropolitan New York area, Westchester & Fairfield Counties.